Betsky, Kipnis, Mau, Ryan, Nicholson Exploring Design in Chicago. 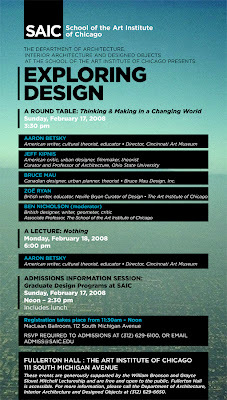 Feb. 17 roundtable. Feb 18 Betsky lecture. Click on the poster to make it larger. It could be the event of the year in Chicago. See you there! You are currently browsing the archives for the Betsky category.